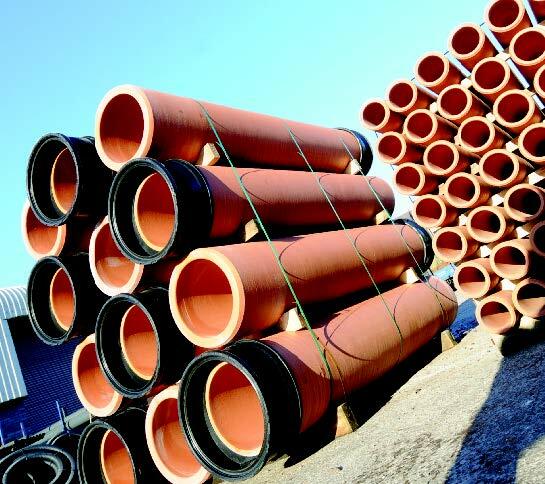 JDP offers a comprehensive range of vitrified clay pipe for underground drainage; a fully socketed system is offered from DN375 to DN600 in accordance with EN 295-1 System N, with an extensive range of pipes and fittings, including bends, junctions and tapers. The standard pipes, polyester fairings and elastomeric sealing rings are resistant to all forms of attack from substances which are commonly encountered in public sewers. Where more aggressive effluents or environments are present, special sealing rings may be required. Alternatively Hathernware clay pipes should be considered. 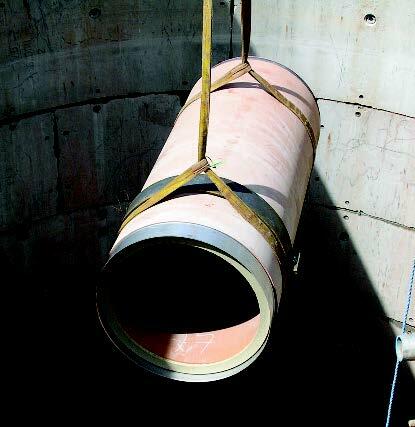 Hathernware is a specialist Chemical Drainage System that covers the most aggressive discharges and extreme conditions, including thermal shock – a phenomenon where extremes of temperature variation can put significant structural strain on a drainage system. Contact us for more information on using clay in aggressive environments. Vitrified clay pipes and fittings manufactured in accordance with the requirements of BS EN 295-1. Kitemark No. KM 20173. All pipes consist of a factory fitted grade 316 stainless steel sleeve a 5 bar rated EPDM self-lubricated seal. Check the pipes and fittings to ensure that they have suffered no damage, ensuring that the spigot and socket are clean and free of any grit. Insert the spigot end into the stainless steel sleeve and lower the pipe on to the pipe bedding by the means of a cloth strap around the centre of the pipe. There is no requirement for any lubricant as EPDM seals are self lubricating. Insert a suitable wooden packer into the stainless steel sleeve and pply an equal mechanical force onto the pipe end. The pipe is fully home in the sleeve when there is a 5mm gap between the sleeve and the pipe rebait. Test the pipe and joint after installation of every three pipes in accordance with BS EN 195 Cluase 5.18: Air Tightness. 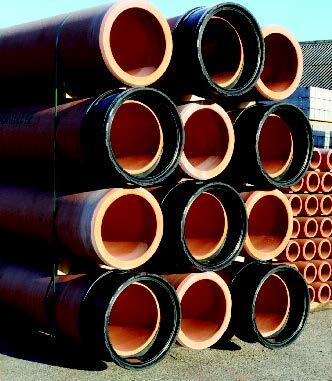 Vitrified clay pipes have been in production for over a 100 years meeting the needs of water borne sewerage systems. JDP offer a modern vitrified clay jacking pipe system that has been developed to meet the requirements of pipe installations by trenchless construction methods. These systems may be used for a number of methods; Microtunneling (pipe jacking), Guided Auger Boring, Pipe Bursting, Pipe Eating and Slip Lining. Existing networks of utility services are usually found in cities and crowded urban areas, where pipelines in need of replacement or expansion are located below roads and buildings or interwoven with other services. Trenchless Technology greatly reduces the need for surface excavation which in turn minimises traffic congestion and built environment disruption. This form of Installation is characterised by the high level of physical work that is carried out. 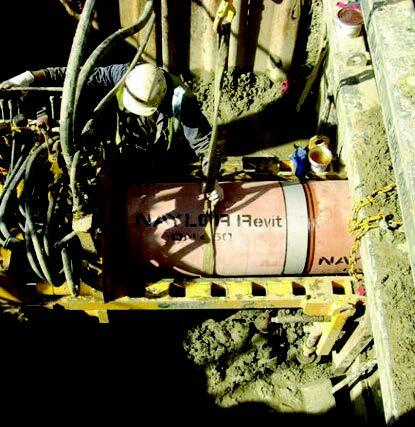 Typically 50 times the amount of spoil that the new pipeline will occupy has to be removed and then refilled again after the pipeline is laid. As well as being very labour intensive, various skills possibly from several companies and authorities may need to be co-ordinated. This joint system is especially beneficial for smaller diameter jacking pipes as the joint system can accommodate better storage extremes. This joint system is capable of achieving a minimum 2 bar internal/external pressure. These jacking pipes are designed for installation by either the 3-pass guided auger boring or pipe bursting.